With the San Diego Comic-Con right around the corner, Activision pulls back the curtain on the top-tier talent lending their voices to Spider-Man: Edge of Time and X-Men Destiny. 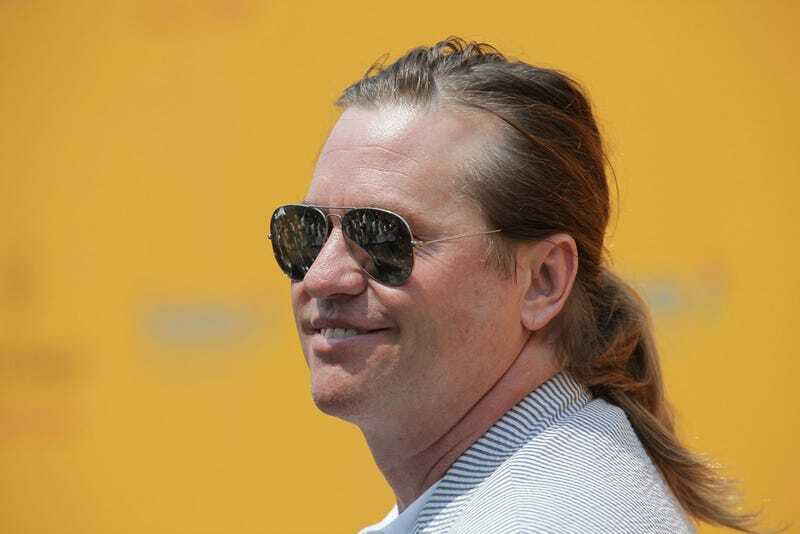 It's good to see Val Kilmer is still alive, isn't it? Yes, the actor that brought ace pilot Iceman to life and briefly paraded about in a bat suit now tackles Walker Sloan, the Alchemax scientist that meddles with the time stream in Spider-Man: Edge of Time, bringing about a dystopian future and setting the whole Spider-Man 2099 crossover in motion. Val and his fellow voice actors will join comic book writer Peter David, the legendary Stan Lee, and several other special guests during Comic-Con's Marvel Games Panel Saturday, July 23, at 10:00AM. Flip through the gallery to see who's talking when the mighty Marvel duo hits consoles this fall. Battlestar Galactica's Katee Sackhoff takes on the role of Black Cat, Peter Parker's unlucky side dish. Black Cat fun fact: Katee's fellow Battlestar cast member Tricia Helfer voiced the character in both Spider-Man: Web of Shadows and The Spectacular Spider-Man TV series. Laura Vandervoort has been featured in the V reboot as well as the Superman series Smallville, where she played Kal El's cousin, Kara, AKA Supergirl. She plays Mary Jane Watson in Edge of Time. From Friday Night Lights to X-Men Destiny, Scott Porter brings Adrian Luca to life. Fresh off Sucker Punch, the luscious Jamie Chung takes on new mutant Aimi Yoshida in X-Men Destiny. Heroes star Milo Ventimiglia takes on the role of new mutant Grant Alexander in X-Men Destiny.